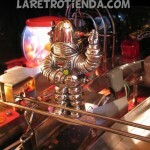 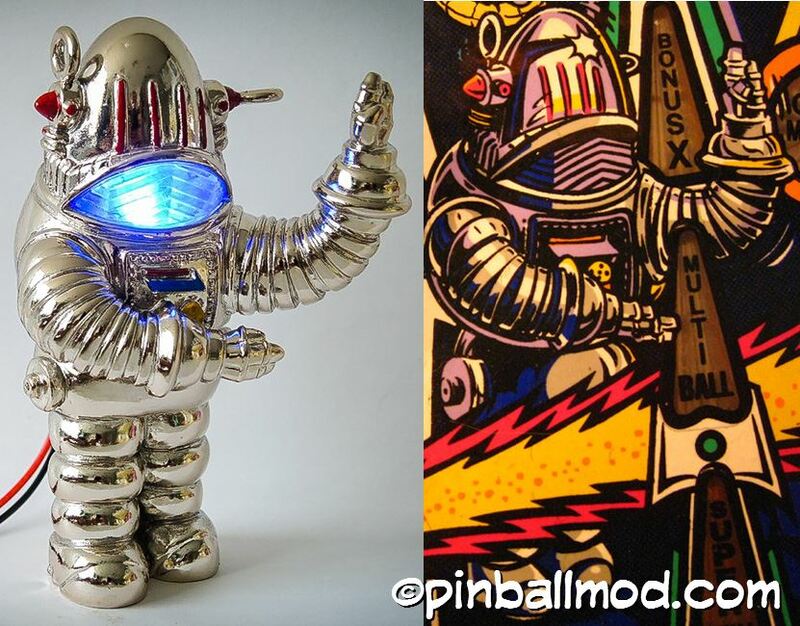 Robby the robot is the same that you can see in the playfield and which was drawn by Pat Lawlor. 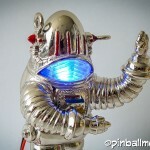 Robby is decorated with a chrome plate. 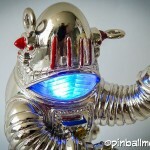 This new edition of Robby includes blue light in the mouth as in the movie (Forbidden Planet 1956). 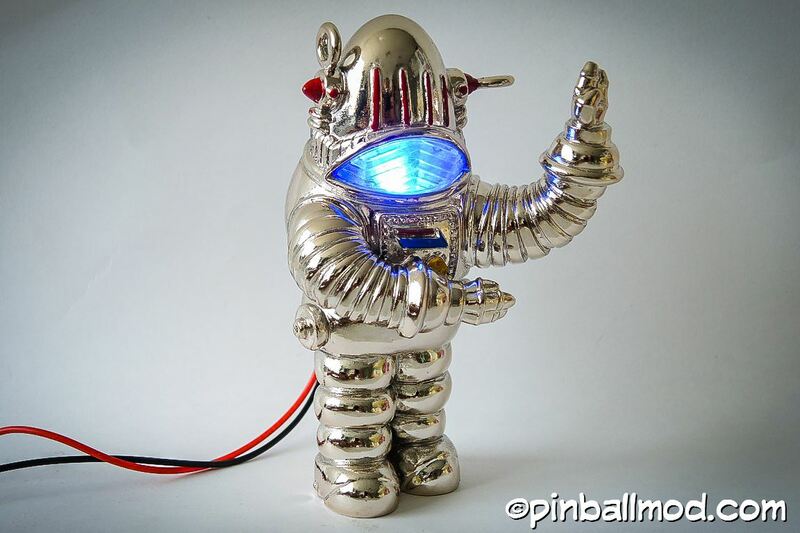 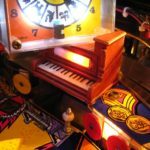 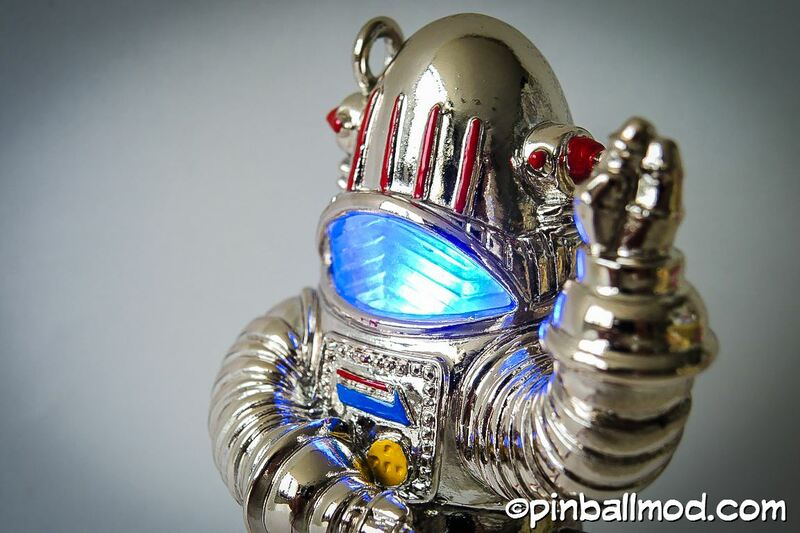 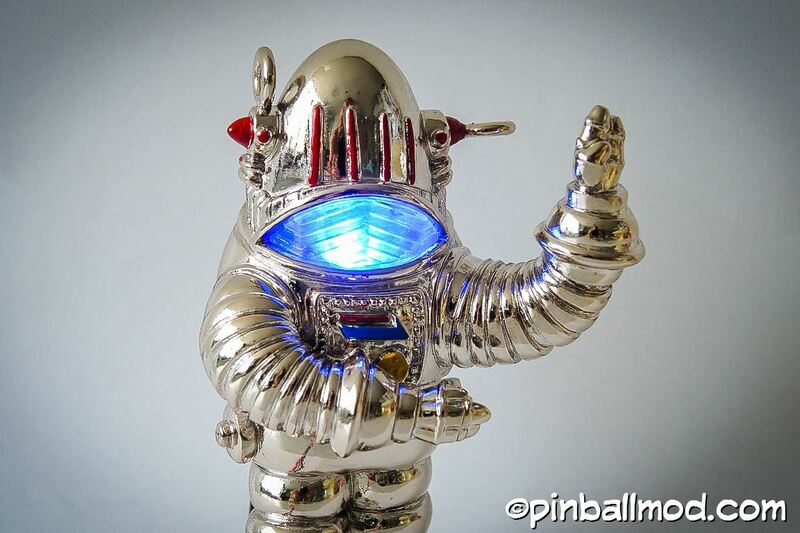 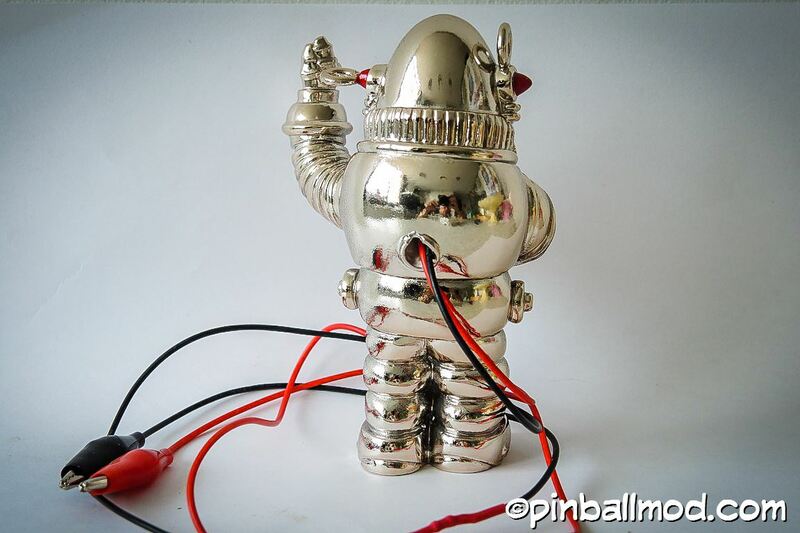 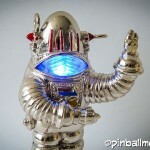 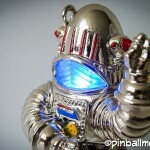 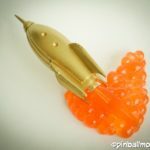 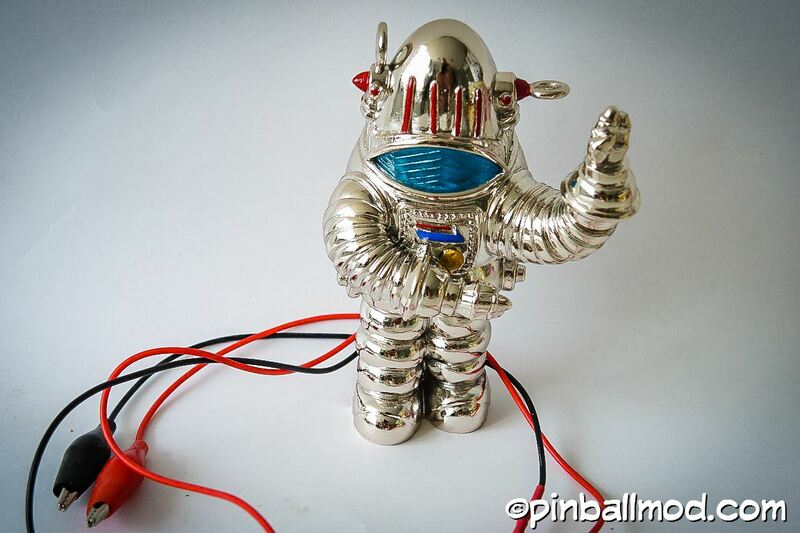 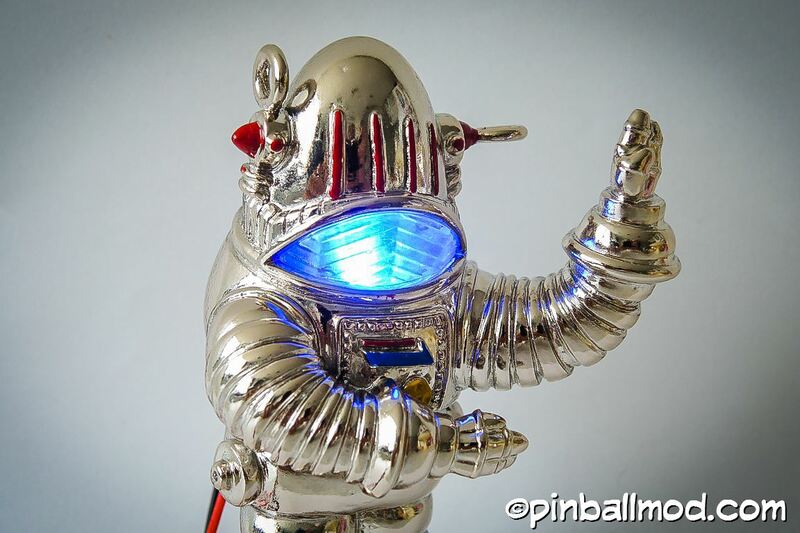 We think you don’t need many led lights on your Robby, you only need a Robby designed exclusively for your Twilight Zone pinball that will leave everyone with their mouths open. 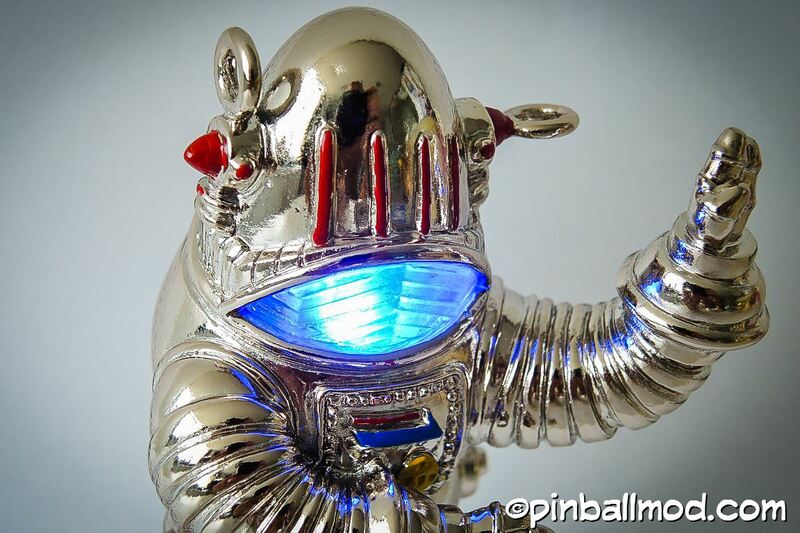 We pay attention to every detail. 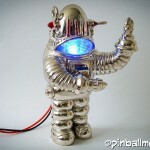 Easy installation, Robby is 100% reversible, no modifications. 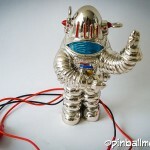 You can connect the wires to a flash bulb with the alligator clips. 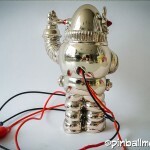 The light is not fixed and will illuminate when the flash bulb lights. 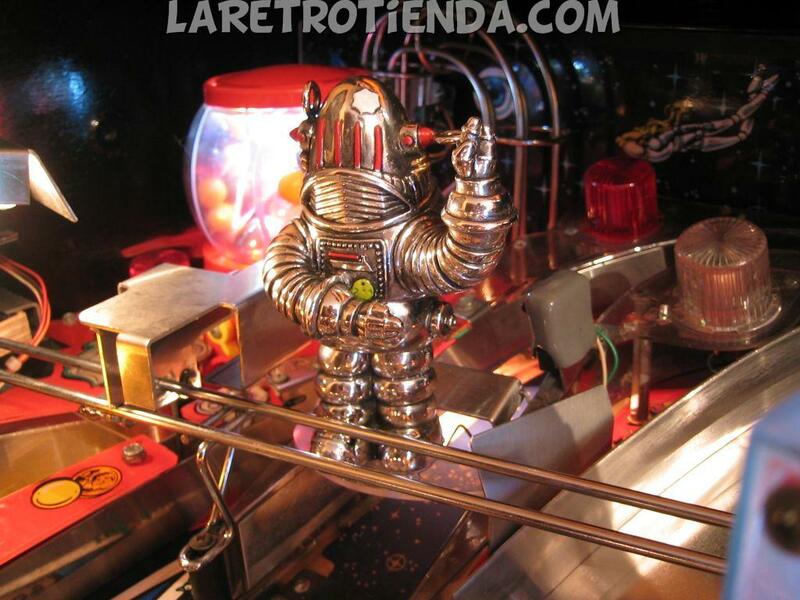 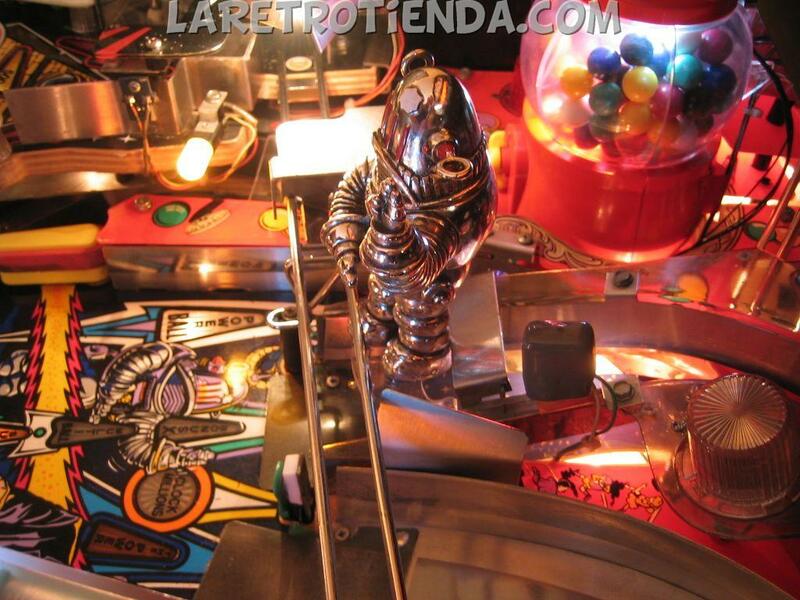 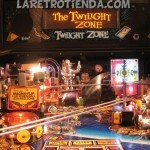 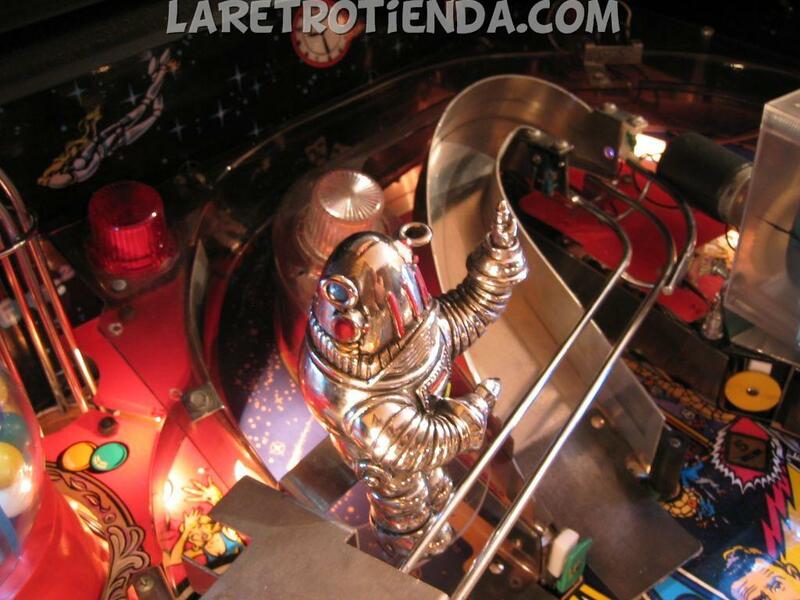 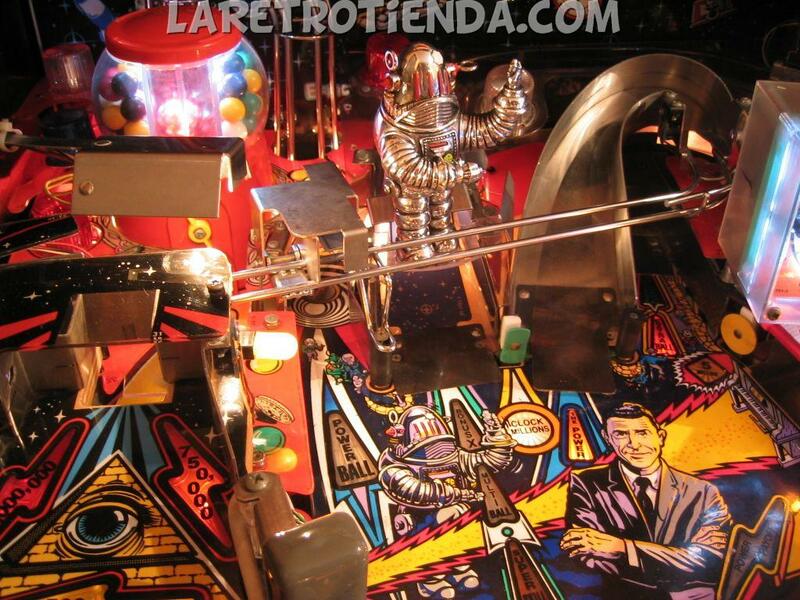 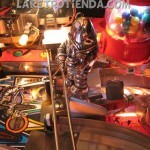 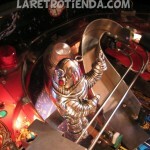 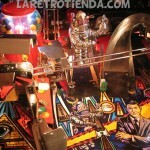 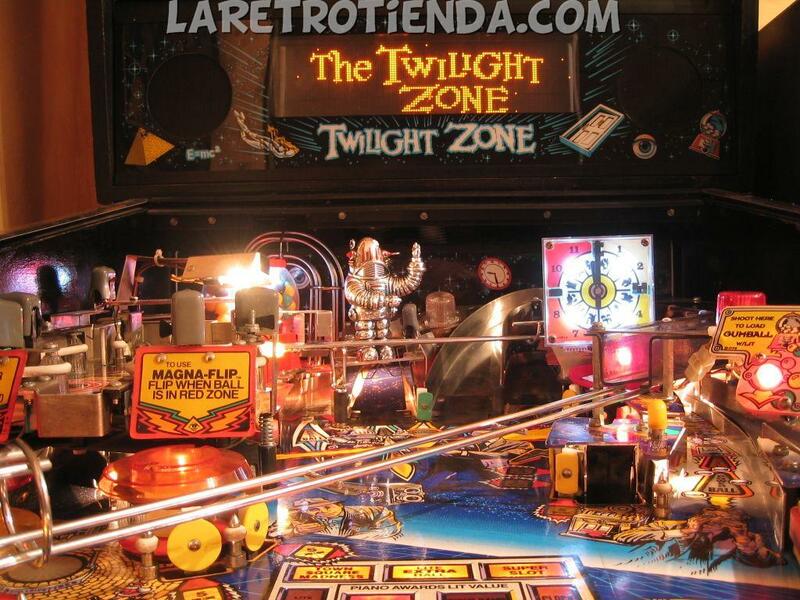 In the description you can see Robby placed on the pinball machine, is the previous edition without light.